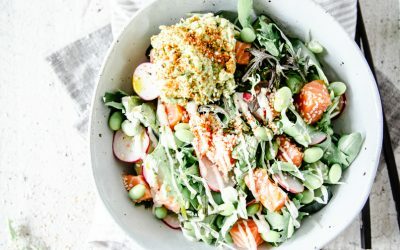 Hawaiian poke inspired salad bowls with Japanese flavours. 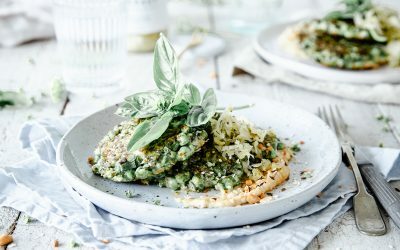 Green pea fritters with a fresh basil flavour & hint of cheese. 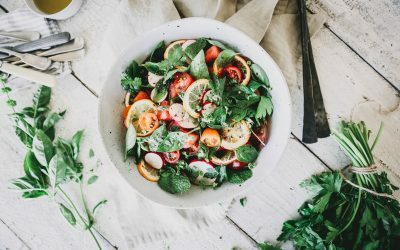 Caramelised citrus, fragrant herbs and juicy watermelon combine beautifully with a zesty lemon dressing. 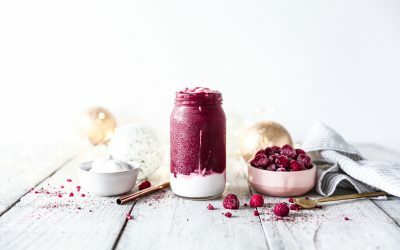 A vibrant berry smoothie with all the flavours of Christmas. 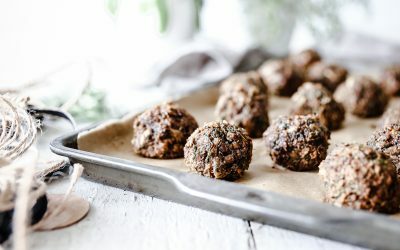 These lentil balls have all the flavours of traditional stuffing minus the breadcrumbs and gluten. 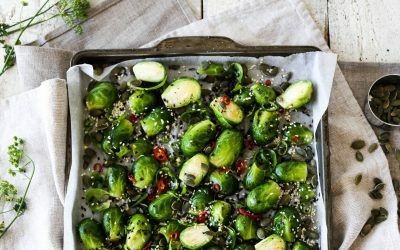 A vibrant, warm vegetable salad all in the one roasting pan! 5 Reasons Why… You Need Green Smoothies In Your Life! 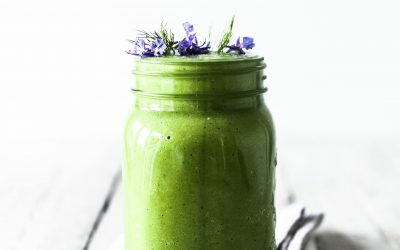 A dreamy fennel & cardamom green smoothie and 5 reason why you need it. A vibrant, coconut based curry with the super powers of turmeric. 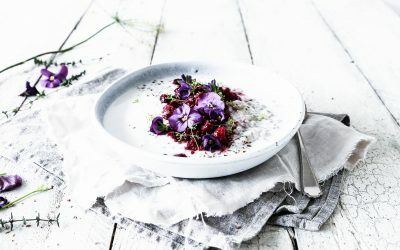 A creamy porridge recipe with hints of cardamom & vanilla. Smokey cajun spices with the goodness of beetroot. 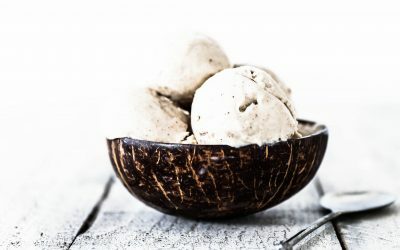 A dreamy combination of coconut and bananas with a hint of cardamom spice. 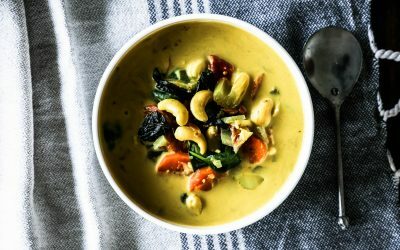 A beautifully smooth and creamy soup with Indian spices. Asian inspired skewers with a vegan/vegetarian option. Sublimely smooth with creamy tropical notes and a hint of ginger. 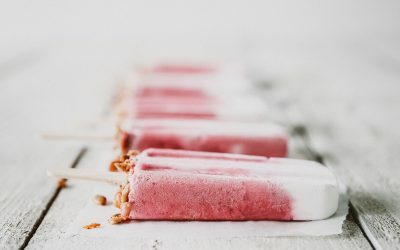 What makes a dessert swoonable? A completely sugar free rhubarb compote with subtle hints of ginger and vanilla. 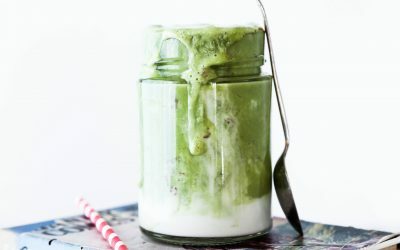 A light and creamy, beautifully fragrant green smoothie. Crispy on the outside, soft on the inside with a hint of chilli and sesame. An exotic blend of açai, blackcurrants, blueberries, lemon and passionfruit. 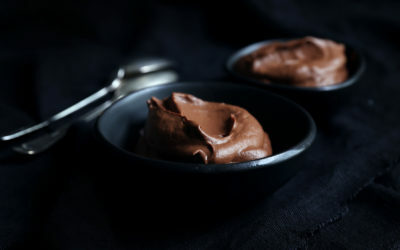 Silky smooth dark chocolate with subtle hints of peanut butter. 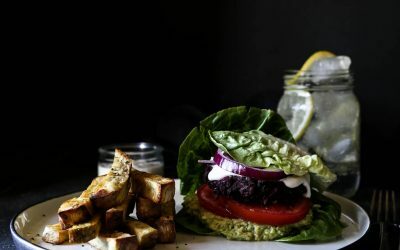 Lush beetroot patties, garlic aioli and chunky sweet potato chips. 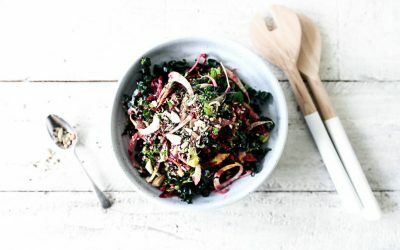 A vibrant, crunchy super food slaw packed with nutrients. 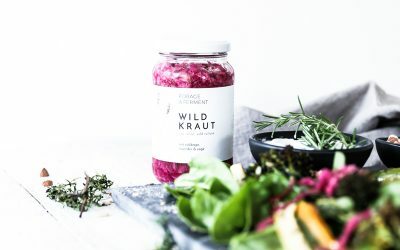 Sweet beetroot combines with soft zucchini and hint of cayenne. A cauliflower and almond base, topped with fresh vegetables and drizzled with cashew cheese. Raw cacao and beetroot combine to create this beautiful latté. 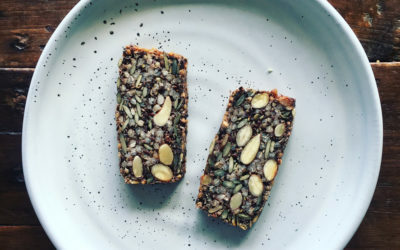 A completely grain, dairy & yeast free bread recipe that’s packed with plant based goodness. 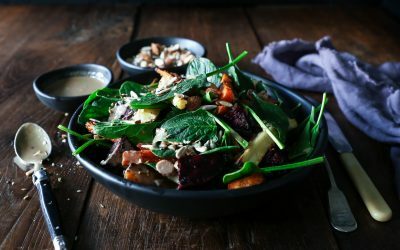 Carrot, parsnip and beetroot are tossed with baby spinach leaves, creamy tahini and crunchy almond dukkah. 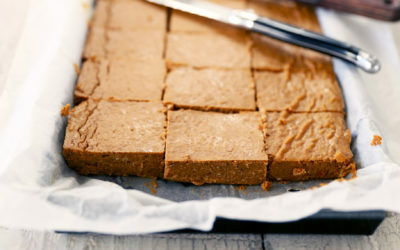 Warm spices, sweet apple and a heap of green goodness. 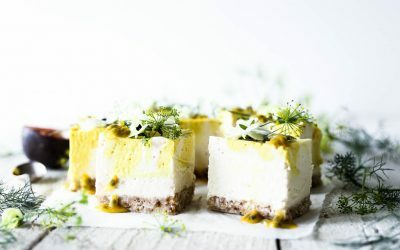 Fresh herbs, warm spicy ginger, creamy cashews and sweet kumara. 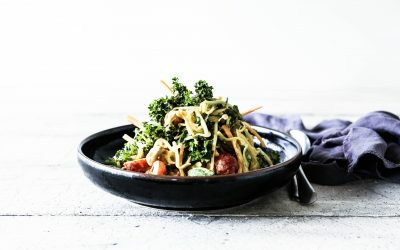 Smokey, spicy, asian inspired super food slaw. 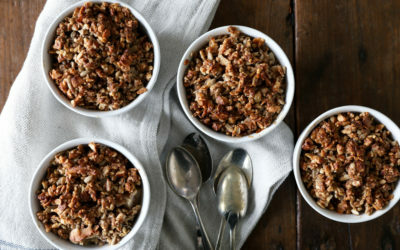 Fragrant feijoa and juicy pear combined with a spiced nutty crumble. Soft courgette strips, green leaves and crunchy dukkah, with a turmeric vinaigrette. 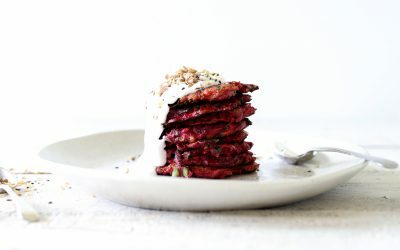 Light, fluffy and full of warming spices, these pancakes are grain and sugar free. Nostalgic spiced easter buns with a twist. 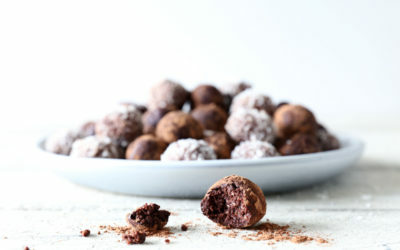 Raw cacao, nuts and coconut oil create the base for these nutrient dense chocolate truffles. 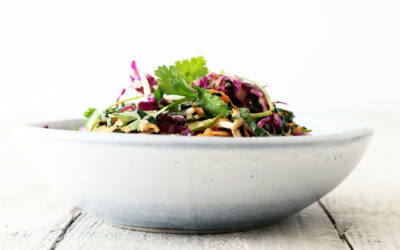 Fresh vibrant thai flavours and herbs combine with cashews and coconut in this spicy thai salad. 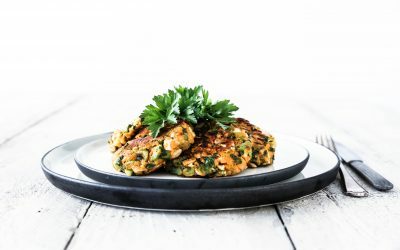 A simple vegetarian fritter recipe, loaded with herbs and greens. 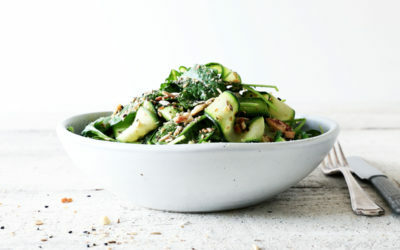 A super salad packed with fresh seasonal greens and a herbaceous green tahini dressing. 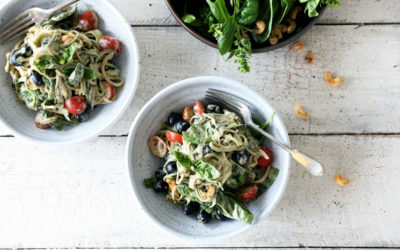 Creamy basil noodles, salty olives, sweet tomatoes and spicy cashews. 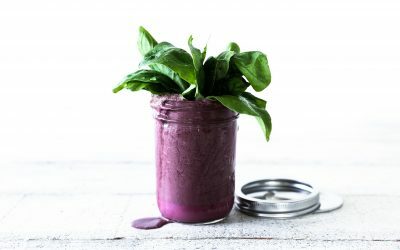 A creamy berry smoothie with a hidden stash of greens. 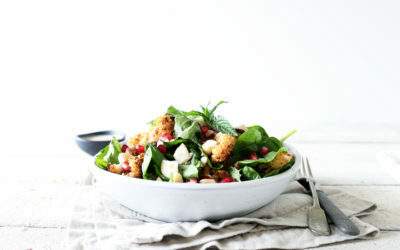 Spice roasted cauliflower, green leaves, crunchy brazil nuts and tangy pomegranate seeds. 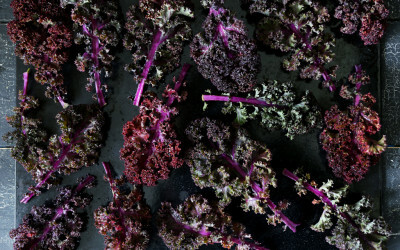 How to make the ultimate kale chips. 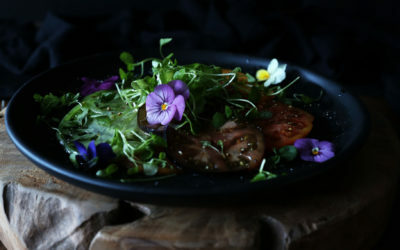 Heirloom tomatoes, extra virgin olive oil, cracked salt & pepper. 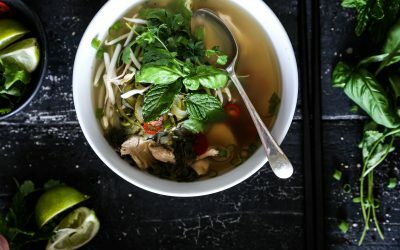 A twist on the traditional Vietnamese Pho Ga. 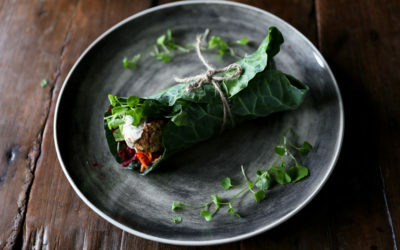 Nutty chickpea felafel, fresh vegetables and tahini sauce wrapped in collard greens. 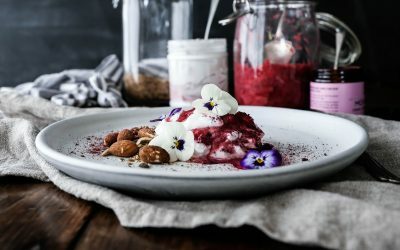 A nutrient dense, grain-free porridge recipe made with activated nuts and seeds. 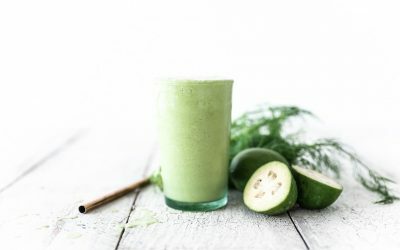 Two super green juice recipes that contain no fruit sweetener, and can be made with a blender or a juicer. 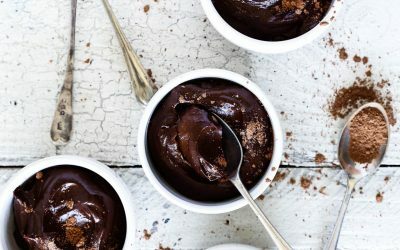 An amazingly rich, decadent chocolate mousse that’s sweetened only with sweet potatoes! 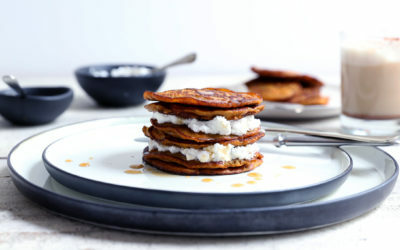 These pancakes have a lovely light texture and caramel-like flavour, yet are sweetened entirely with pumpkin! Sweetened entirely with butternut squash, these brownies are like a smooth, custardy, pumpkin pie filling. 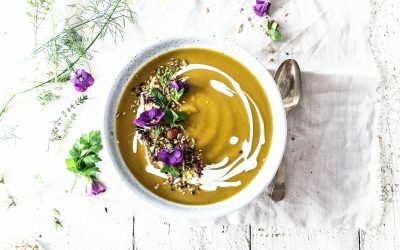 A deliciously nourishing soup with some amazing anti-inflammatory properties. 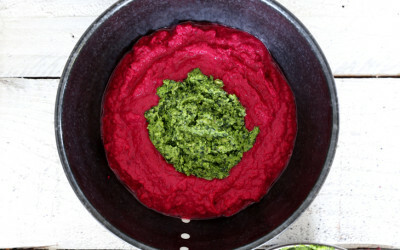 A vibrant beetroot hummus topped with fresh kale and coriander pesto. 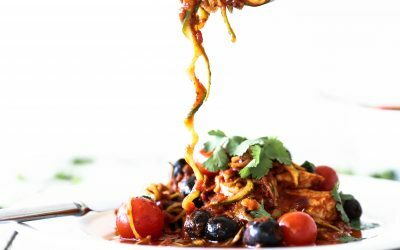 Zucchini noodles, cherry tomatoes and olives in a light mediterranean inspired sauce. 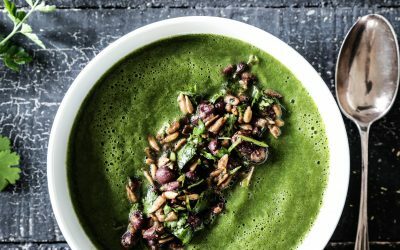 Broccoli, celery, spinach and fresh herbs create this vibrant green soup that’s finished with a nutty adzuki bean topping. 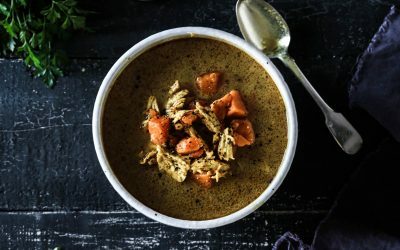 Coconut milk, turmeric and ginger make this chicken soup stand out from the crowd. 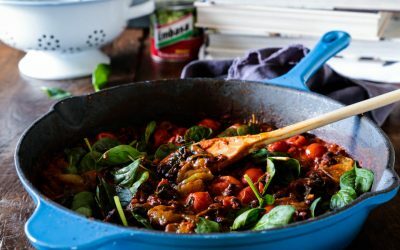 A mexican inspired dish with a rich, nutty tomato flavour. 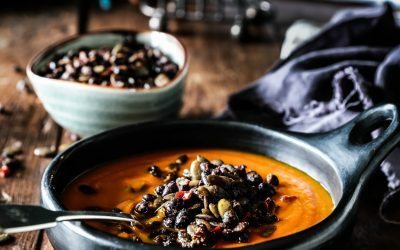 A spicy black bean topping makes this vibrant soup a very nourishing dish. 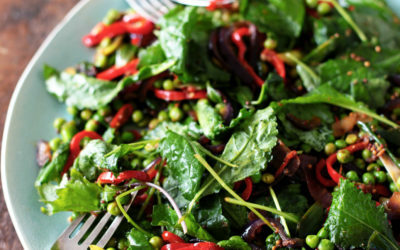 A vibrant green salad flavoured with mustard seeds, chilli, ginger, cloves and apple cider vinegar. 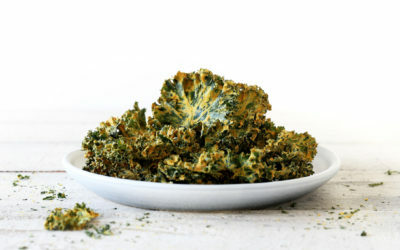 A recipe for perfectly crunchy kale chips.